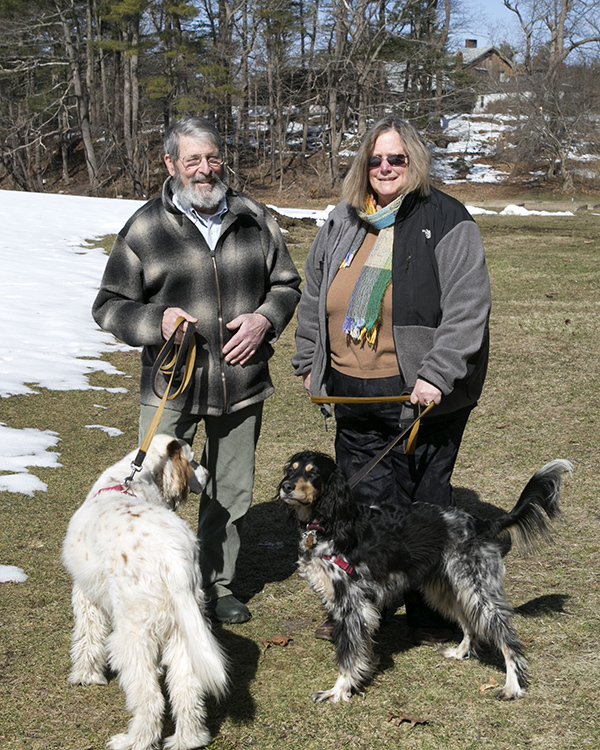 For Joanie and Tim Ingraham, Beverly Hospital is part of the family. Joanie’s grandfather Samuel Vaughan was president of the hospital’s Board of Trustees. Tim’s father, Dr. Franc D. Ingraham, was a neurosurgeon who was associated with Beverly Hospital from 1942 until his death in 1965. Joanie gave birth to their two sons at the hospital, and her father Samuel died there at the age of 97. Both Joanie and Tim have been patients at Beverly. “We’ve had many joints replaced there between the two of us!” Joanie noted. When Tim’s father died, Tim’s mother, Martha Wheatland Ingraham, along with Tim and his sister, donated the funds for the Doctors’ Lounge at Beverly Hospital, equipped with subscriptions to the Wall Street Journal, The New Yorker and the Beverly Times. The Ingrahams have been generous supporters of Beverly Hospital and Lahey Health Behavioral Services over the years. Their recent leadership gifts to Beverly Hospital will help the hospital reach its goal of constructing a new two-story pavilion for its signature maternity service, which provides comprehensive specialty care for mothers and their newborns. The hospital delivers 2,400 babies each year — more than any other hospital on the North Shore — and demand is climbing. By expanding and modernizing its facilities, the hospital can provide new parents with spacious, comfortable surroundings where mothers can recuperate and families can share the early moments of bonding with their newborns. In turn, the existing maternity facilities will be converted to additional medical/surgical rooms. Beverly Hospital is one of many local causes to which the Ingrahams have devoted themselves. Joanie, a retired mariner, is descended from Joseph Peabody, who was a successful Salem merchant. Her father was also master of the Salem Marine Society, as was her brother. Joanie was the first woman member, and in October 2015, became the first female master of the society. Joanie serves on the Board of Overseers for the Peabody Essex Museum. She has been involved with the Children’s Center for Communication (formerly the Beverly School for the Deaf) ever since she was a student at Simmons College, and eventually became president of the Board of Trustees. She also is the former board president of Healing Abuse Working for Change (HAWC), which addresses domestic violence. Tim, a director of Acadia Management Company, Inc., an investment management company in Boston, is a vice president of the Board of Trustees of the Peabody Essex Museum. A devoted environmentalist whose family has been in forest management for generations, Tim is also a trustee of Maine Timberlands Charitable Trust and the New England Forestry Foundation. Tim served on the board of the Children’s Center for Communication, and supports his alma maters, Milton Academy and Lake Forest College. The Ingrahams have gained great satisfaction in helping several young people pay for their college education. One, who was a student at the Island School in the Bahamas, is now the head of the science department at the school where she teaches in Nassau.